The total economic cost of the destruction from Nepal’s earthquake and aftershocks is most likely to total between $1-10 billion, with the second most probable scenario showing damage may reach $100 billion. The country’s GDP stood at $19.29 billion in 2013. 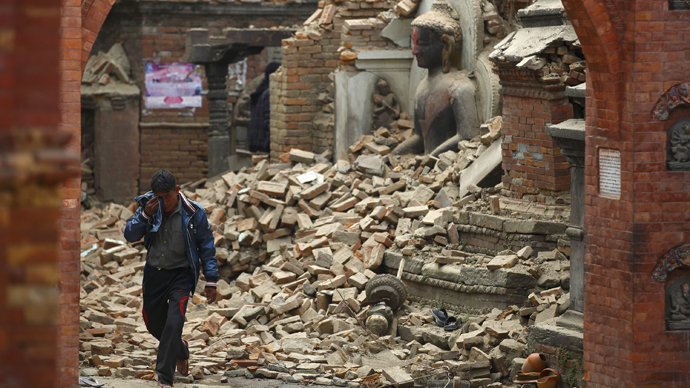 “Estimated economic losses may exceed the GDP of Nepal,” the United States Geological Survey wrote on its website. Economic damage is most likely (34-percent chance) to be between $1-10 billion, but there is a 29-percent chance it will reach $10-100 billion, and a 13- percent likelihood it could top $100 billion, the survey said. The 7.9 earthquake struck near the capital of Katmandu around noon local time on Saturday, leveling homes and buildings, triggering avalanches, splitting roads down the middle, destroying telephone lines, and other infrastructure. It was the worst seismic activity to hit the country in 81 years. It goes without saying that the human cost of the tragedy is the most devastating statistic- over 4,200 people have lost their lives at the time of publication, and the numbers continue to rise as the recovery mission continues. Nepal, one of the world’s poorest and least developed countries, will not recover from the disaster quickly, which will take a toll on its infrastructure, tourism, and overall economic picture. 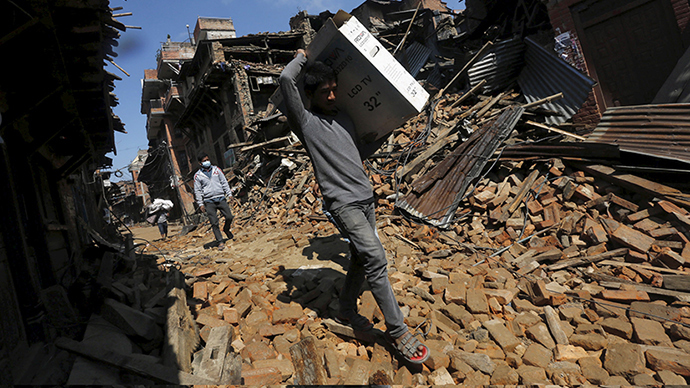 "With the death toll and casualty estimates from the Nepal earthquake rising rapidly, the economic impact on the nation is severe," Rajiv Biswas, chief economist at Asia-Pacific at IHS, wrote in a note, MSNBC reported. The country’s GDP accelerated to 5.2 percent in Fiscal Year 2014, according to the Asian Development Bank. Damage from Saturday’s earthquake and Sunday’s strong aftershock may severely set back the small Himalayan nation’s economic progress, which had been making small strides in the past year. The country has been slowly moving away from an agriculture-based model which now accounts for a third of Nepal’s economy, whereas before it was a more dominant 70 percent. Remittances still make up a considerable portion of the country’s GDP – in 2013 nearly 29 percent of the economy depended on money being sent in from elsewhere, according to the World Bank. Major natural resources are quartz, water, timber, copper, hydropower, and iron ore are underdeveloped. Tourism, which contributes about 5 percent to GDP, will be largely affected. The country attracts about 1 million foreigners annually, ranging from mountaineers scaling the icy peaks to tourists who want to visit the World Heritage sites. Many of the service industries related to tourism- such as construction, restaurants, real estate, and hotels – will likely suffer from the disaster. A number of Nepal's iconic UNESCO World Heritage sites and landmarks, including the Dharahara Tower built for a queen, have been destroyed.